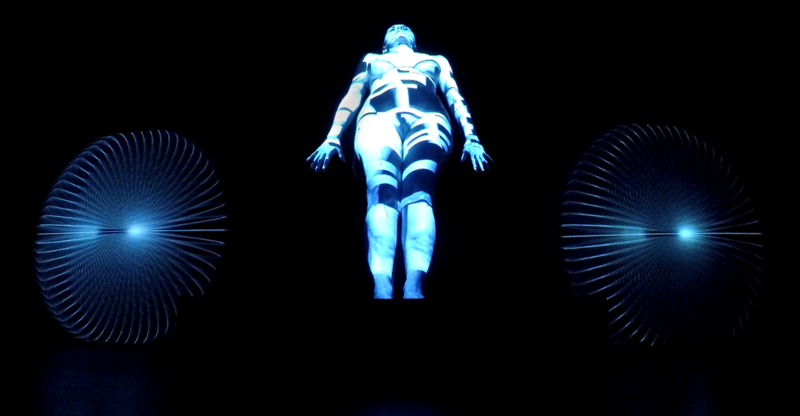 BodyQuake is a concert for bodies and medical data. Fondazione Neuromed is a research institute with cutting edge research on epilepsy. It joined forces with HER, Human Ecosystems Relazioni, sharing large quantities of medical data on epileptic conditions, which are visualized in innovative ways, enabling scientists to see data from useful, different perspectives, and in ways which can be used in artistic performances, with Art is Open Source, Francesca Fini, LPM and AVNode. 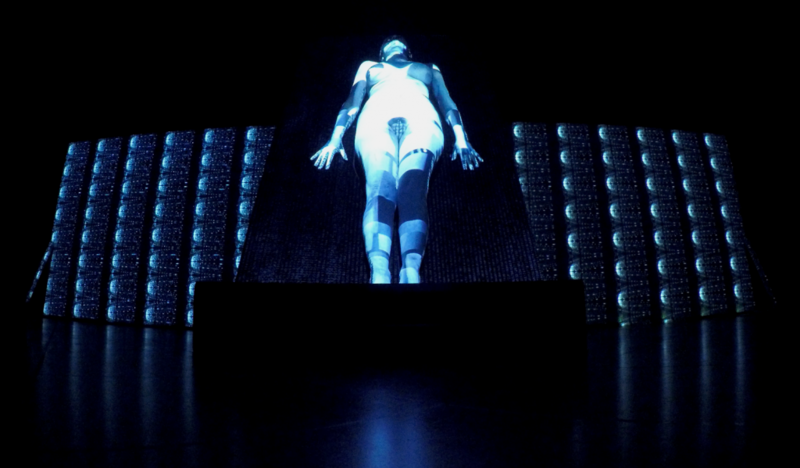 In the art performance, the performer wears the medical data through body video mapping. All the sounds and visuals are generated directly from the medical data, allowing to experience it in new ways: a useful tool for scientists, and an experience of sharing for the audience. Epilepsy is a condition which has the potential to deeply isolate the person who suffers it: it is disruptive of human relations and of the activities of daily life, opening up subjects and their friends, colleagues and family to experience strong, dramatic experiences in seemingly random fashion. 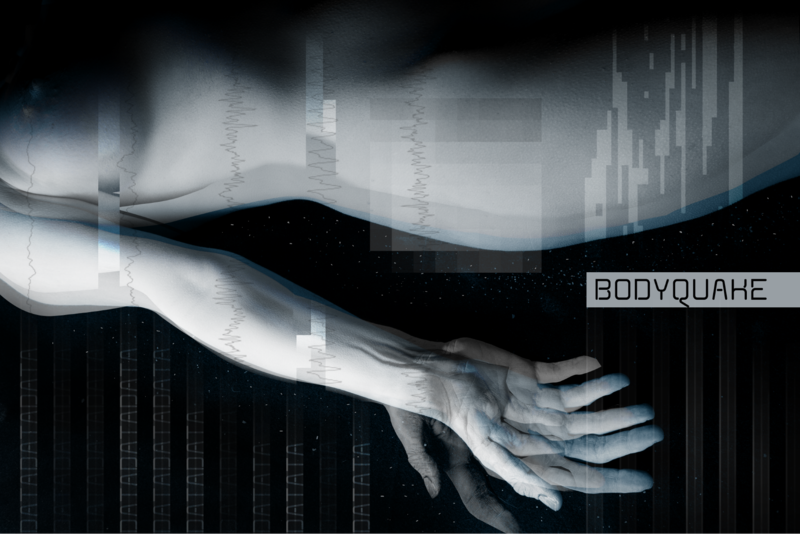 With BodyQuake we did not just aim at aesthetics, or to a visualization tool for researchers. The objective included the possibility to socially reduce this condition of isolation. The possibility to socially experience data and the vibrations of an epileptic seizure, through a wearable device which is given to the audience, opens up strong empathic responses: sharing at least a representation of the seizures, through data, allows to feel closer to the ones who suffer, and activate social solidarity and caring action. Arts, Sciences and technologies unite to create beauty, useful tools and technologies, and powerful social innovation.